Manufacturer of a wide range of products which include agro chemicals, water absorbent polymer, hydrogen peroxide with nano silver, agriculture sap, agriculture spreader and hydrogel for agriculture. 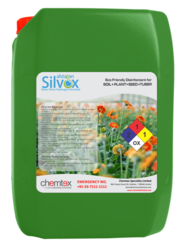 Chemtex Speciality Limited is involved in the manufacturing of a range of Agro Chemicals that aid in the agricultural processes which include Horticulture Disinfectants such as Silver Hydrogen Peroxide and other chemicals such as agricultural spreaders and Hydrogel. 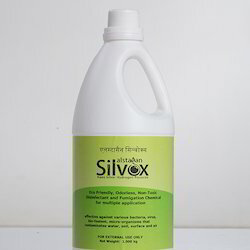 These range of chemicals function as additives for agriculture and helps in enhancing the overall production by carrying out disinfection by Silver Hydrogen Peroxide to reduce the rate of microbial infestation, aids in increasing the water retention capacity of soil with the application of Hydrogel and in the spreading of chemicals and fertilizers with the help of agricultural spreader. Water Absorbent Polymer, also known as Super Absorbent Polymers, can be referred to as polyacrylate polymers that have the capacity to absorb higher amount of water. The ability of the Water Absorbent Polymer to absorb moisture depends on the ionic concentration of the aqueous solution. Water Absorbent Polymers find its use in various applications. The total absorbing and swelling capacity of the polymer gets controlled by the type and degree of cross-linkers that are used to make the gel. Low-density cross-linked Water Absorbent Polymer generally shows a higher absorbent capacity and swell to a larger degree. Water-absorbing polymers, which are considered as hydrogels when cross-linked, absorb aqueous solutions with the aid of hydrogen bonding with water molecules. Chemtex Speciality Limited is an ISO 9001, ISO 14001 and OHSAS 18001 certified company that specializes in the manufacturing of water absorbent polymer. Chemtex's greatest business vitality and strength are its technical and manufacturing knowledge and a well developed technical service team having its facility in India. 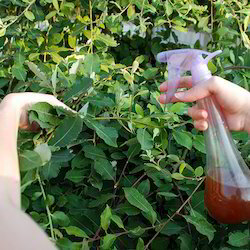 Hydrogen peroxide with Nano Silver particles provide high efficacy in killing of microorganisms in almost all possible applications such as soil, water, air and surface. This combination of hydrogen peroxide with nano silver is about twenty times more powerful than hydrogen peroxide alone. Surfaces are efficiently sanitized by spraying or dipping, finding use in various industries like F&B, Dairy, Brewery, etc. Potassium polyacrylate (Potassium based Super Absorbent Polymer for Agriculture) is a nontoxic homo-polymer that is able to absorb and inflate nearly 300 — 500 times of its size in water. 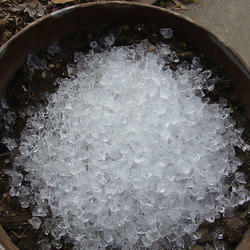 When sown at the roots of a plant, it can save nearly 65 – 95% of the water used. Its application is fundamental yet highly effective. Super Absorbent Polymer with astounding water absorption quality is a eco-friendly item for agricultural purposes. Agriculture SAP is effective for water utilization in agricultural and horticultural crops in areas with little or no rainfall and under limited irrigation conditions. It offers huge economic viability to open cultivation and is a boon to dry states and rain-fed agriculture. 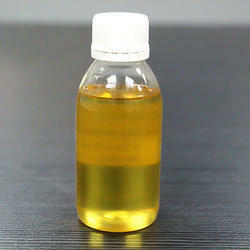 Agriculture Spreader is a superspreading surfactant based on Trisiloxane Ethoxylate. Adjuvants/ Spreaders provide increased spread, rapid uptake of agrofertilizers. It reduces the surface tension and contact angle helping in an effective spread.Agriculture Adjuvant functions as an efficient tank side adjuvant in the pH range of 5 – 8 and when used within 24 hours of preparation. Adjuvant is nonionic in nature making it useful within a broad range of agrochemical forumulations. 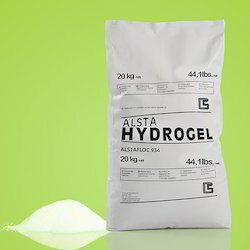 Alsta Hydrogel is a potassium polyacrylate based super absorbent polymer with its safe and nontoxic formulation for use in open field and protective cultivation. There are many uses of hydrogel in agriculture because of its water holding capacity enhancing plant survival ratio and stabilizing soil media. 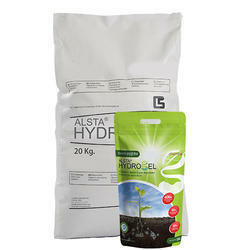 Alsta Hydrogel a quality product from Chemtex Speciality Limited. Hydrogel polymer swells up upon contact with water molecules absorbing up to 400 – 600 times its own weight and then acting as a controlled water release system by releasing water only upon plant requirement. This increase in water retention capacity is useful in drought prone areas where plants get a constant water supply with significant improvement in quality and produce. In arid areas, the use of Alsta Hydrogel in sandy (macro porous medium) significantly increases the quality of the plants. Metam Sodium is a soil fumigant, used in pre-planting treatment for the control of soil borne pests in a wide range of horticultural crops. It is highly effective and has a broad spectrum sterilising action on a wide range of diseases and weed seeds. Metam Sodium is a broad spectrum microbiocide against nematodes, fungi and weeds. It also helps in improving crop quality and yield by enhancing plant vigour. Potassium Polyacrylate based Super Absorbent Polymer for Agriculture is hydrogel polymer for agriculture once added to the soil or substrate absorbs and retains large quantities of water and nutrients, nearly up to 400 times its own weight. Hydrogel has a unique mechanism of absorbing and retaining water, discharging it only when needed, so the crops do not lose out on a stable supply of water and nutrients. Potassium Polyacrylate polymers do not interfere with water imbibing process of the plants unlike sodium polyacrylate based polymers. This aqua absorbent of water acts as a mini water reservoir and will only use this reserved water at the time of need, allowing a better agricultural yield. Looking for Agro Chemicals ?